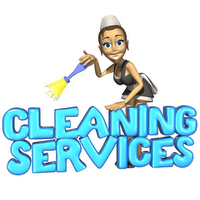 Areas served - Greenwood Services Inc.
Greenwood Cleaning Services Inc. provides high quality maid services to Howard County, Anne Arundel County, Baltimore City, MD and surrounding areas. Whether you need on residential cleaning services in Maryland and nearby cities, Greenwood Cleaning Services, Inc. can meet your needs. Our professional staff of experienced maids travels to your home in teams of two or three, depending on the size of the job, and quickly restores your home to like-new cleanliness. We use high quality cleaning products that have proven to provide the best finish, and we don’t miss any small areas . Clarksville, Cooksville, Daniels, Dayton, Dorsey, Fulton, Glenelg, Glenwood, Granite, Hanover, Henryton, Highland, Ilchester, Lisbon, Marriottsville, Scaggsville, Simpsonville, Sykesville, West Friendship, Woodbine, Woodstock. you have any questions about our commercial & Residential cleaning services in Maryland and surrounding areas, contact us today.